There is seemingly ominous shift that is soon about to overwhelm the entire planet and for a good reason too. As we all begin to migrate into this new paradigm, a majority of people have suddenly been feeling an awakening within themselves. Shamans cannot only feel this intense shift taking place, but they also long to be major part of it. Our modern day shamans want to guide others in this shift, show them how they can evolve and completely transform themselves. 1. Shamans tend to be some of the most empathetic, understanding, sensitive people in the world. You often feel, see, and hear things way differently than everyone else around them. There are even sometimes where you find yourself in a public setting only to be overwhelmed by all of the negative emotions from people around you. You cannot help yourself when it comes to lending a hand to others in need. It’s almost as if you can hear a person’s soul speak to you when they are not happy. People are drawn to you like moths to a flame, they do not know why they must seek you out, other than they know you will be the one who helps them in their time of need. 2. Shamans understand life’s adversities and have experienced your fair share of sorrow, however, you do not dwell on the past. Instead, you take each challenge life throws at you and turn it into a life lesson. You are extremely resilient, and in many cultures that describe their shaman to have survived a lighting strike or ran through a fire, your case may be that you survived some kind of abuse, horrible violence of some kind, or any other kind life threatening ordeal that has made a huge impact on your life. You know how to cope with the things that you cannot change and accept yourself the way you are just as you do with others. 3. Shamans have a very intense connection to the earth they stride upon, they can feel everything that the world feels. 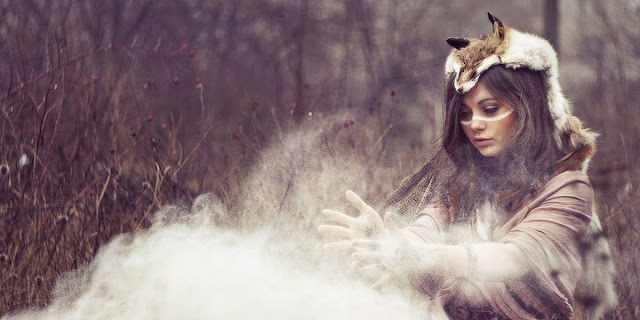 Often times, shamans are the portal between the natural world and humans, translating what the world means to each other as if they were long lost friends. Going for a hike, run, walk into nature means more to them anything else in the world, just as long as they get to be apart of the natural flow of life, then they are doing things the right way. Even though shamans do not have the capabilities to be doctors even if they wish to help eliminate any kind of suffering/pain in the world, they still find a way to give back to their world. Animals, humans, the earth, anything that has a pulse and is apart of nature, you want to do everything in your power to help them. Shamans see negative feelings as a curse upon the soul, not having balance within themselves, and ignoring what their heart is trying to tell them. You can see through these negative walls and reach out with all of your love and insight in hopes they will understand what love really means. There is a shift about to happen, are you a shaman that can feel the world changing?